The plan has been that when Frankie checks in with the toys that live in his dollhouse, he becomes a toy himself. 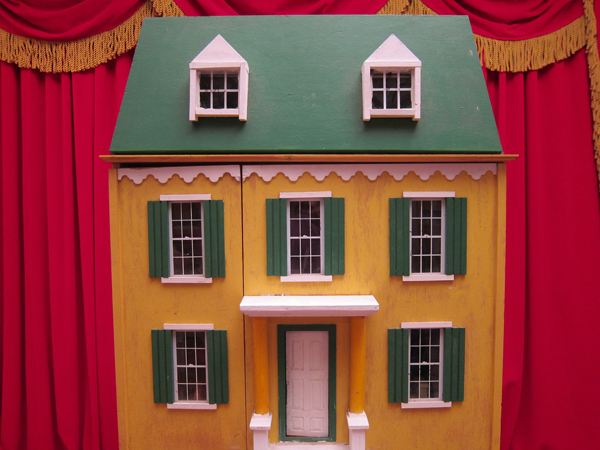 This is Frankie's Dollhouse. 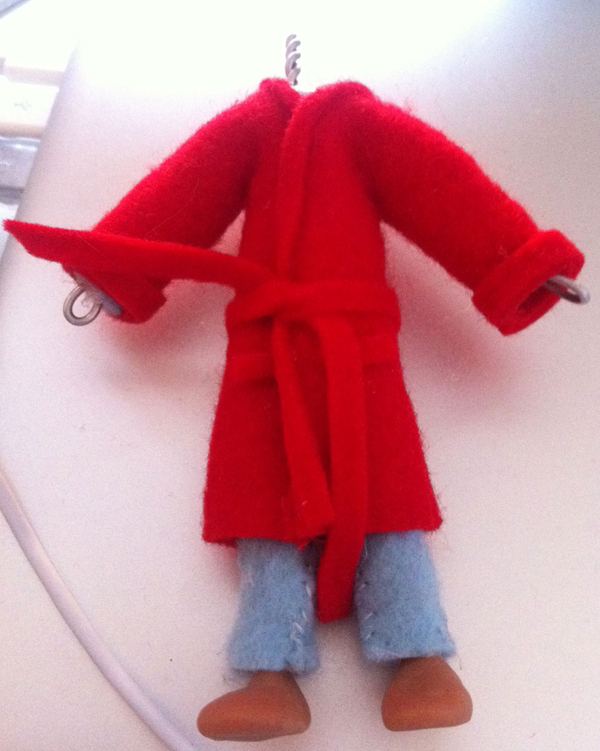 Well, this is one of them, his main one, where his top tier toys hang out. Mostly, all they do is watch TV, which frustrates Frankie because toys are supposed to want to play. 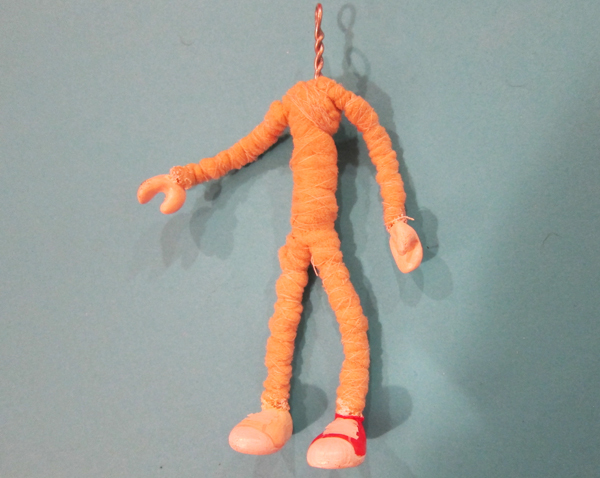 So, in order for Frankie to become a toy, we have to make a stop-motion doll that we can move and animate frame by frame. The skeleton of any stop-motion doll might look something like the one featured below. 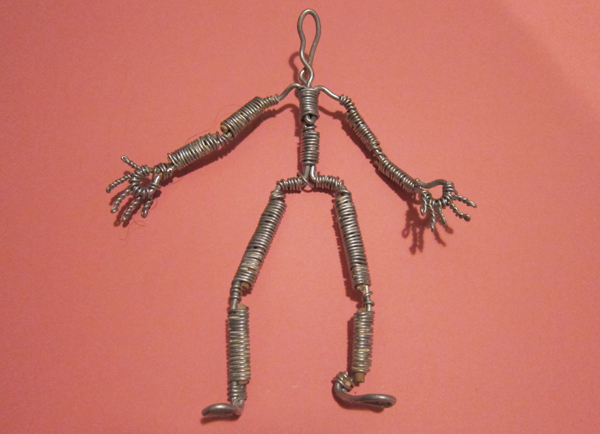 It's made out of twisted armature wire. We actually found this skeleton on the street. It's not that good. This is what the skeleton looks like after it's wrapped in foam. The foam is held close to the skeleton by cotton sewing thread. 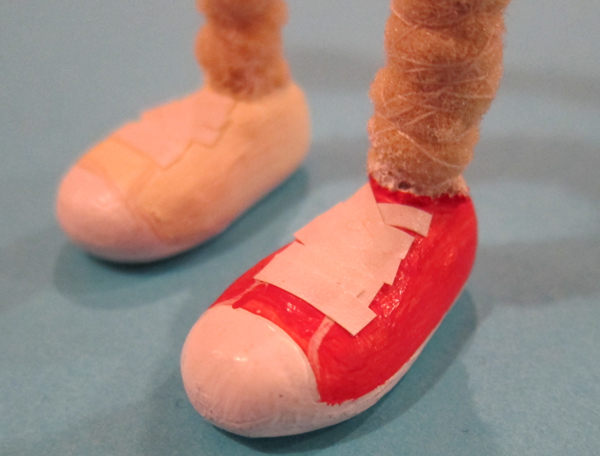 The hands and sneakers are made with Super Sculpy. Stay tuned to see Frankie hang out with his toy friends.